Store events happening all year long! Check out our events page for more details and dates. Can't find what you need at the store? Check out Ace Online! Find exactly what you need and have your order shipped to our location or shipped directly to your home! This is my all time favorite Hardware Store. You can't walk down an isle and a half without someone looking to assist you. Very informed about their products and quick to offer tips to enhance thier use. When summer come around and we are looking for garden plants This is the first plac e we go their plants are the most hardy we have bought from anywhere. They are reasonable priced only problem is they go quick! Best place to get your BBQ gear! Top brands and all the accessories. Plus, they have All the flavors for Traeger pellets. Great store locally owned. They have just about anything you could need as DYIer. We got part for an older lawn mower that we could not find elsewhere. Very knowlegeable staff who are happy to help! Staff if very helpful, you didn't have to search for an employee like in other stores. They were readily available. I appreciate that. Nobody can match the service and knowledge this place and their employees have. It's second to none. They do an amazing job!!!! We can always count on Kimps for the best service. They always have what we need. Best service around. I love supporting local stores. If you haven't been there, go. When it comes to needing hardware, this is the place for me. I have never I believe left without getting what I needed. Their selections are awesome and huge, and the guys back in the hardware department are knowledgeable and helpful. And their parts department has just about anything you'll need to keep your mowers, chainsaws, snowblowers, leaf blowers and weed whackers going strong. If they don't have it, they'll order it in pronto, and you'll be back up and running quick. FYI, the also have a great rental department too, plus an LP gas refill station. The usual great service! 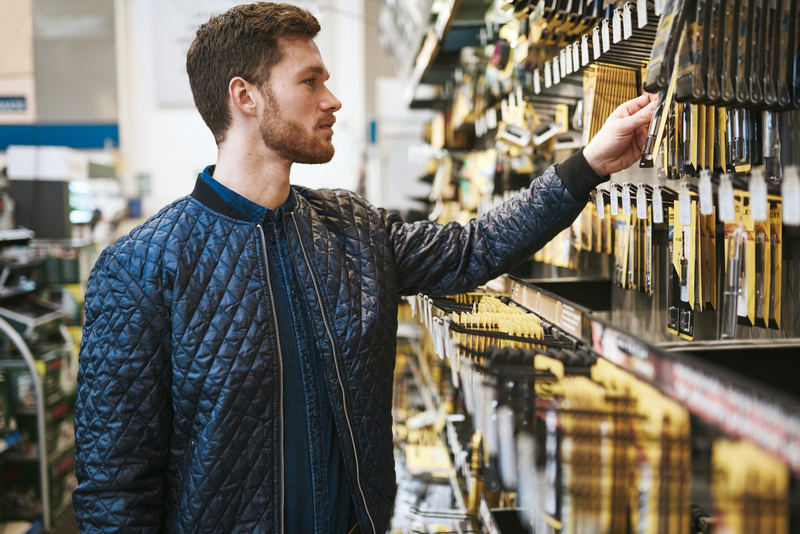 The store has pretty much anything you would need or want from a hardware store. Well staffed and very friendly. If they don't have it , you don't need it. This store has all of your home improvement and decorating needs all under one roof. They also have a great rental department for equipment. Need some keys made, they do that too. Hands down best place in town!!! Go in the power center and rental department quite often, The employees are very friendly and knowledgeable! Just a great small family owned company!! I will continue to shop there!! What this place does for the kids at Christmas time was so amazing. Santa and Mrs. Clause, Breakfast for not only the kids but the parents as well, porkies, French toast, muffins, juice, coffee. It was so kind of them to put all that on for their customers and community. After breakfast we took the kids over to the gift table where they got to spend their 5$ Kimps cash (couldn't believe the nice selection of toys to pick from) after that we made our way down to the craft table where the kids got to make a handprint snowman on a painted jar. THANK YOU TO EVERYONE INVOLED, You've made us and our friends returning costumes always!! You've went above and beyond and that shows the type of family owning this Store. These guys at the grill department were super helpful. I didn’t have my receipt and they were able to look i it up from years ago and process my big green egg warranty Thanks so much, will come back. Knowledgeable staff is always available to help me find what I need! I am a paint section kind of lady and they're extremely helpful. I did have a hard time getting input while buying my lawnmower a few years ago, but since have had a great experience with renting equipment, and getting the correct parts for my home projects. One of the best hardware stores in town. Great selection of tools, wide range of grills and lots of small engine equipment. Everyone has always been very friendly and extremely helpful. Great local hardware store. Helpful knowledgeable staff. They have a very broad variety of products for the do it yourselfer and a full line of power equipment. I have been doing business with them for years and have always been taken care of. Personable service and welcoming to a first time customer. A++ product knowledge and honest Stihl dealer. Doesn't get much better than this!Thank you! This is the BEST HARDWARE STORE I've ever been in; and I use to own one as a member of Mid-States Distribution and an ACE franchisee. From A to Z they have it and their rental dept is well stocked for the needs of contractors and homeowners alike. The real topper is FIRST CLASS KNOWLEDGEABLE CUSTOMER SERVICE. Give them a try. You won't regret it. Great place for big and small hardware, rental, and yard needs. Been here several times, great experiences each time. Easy rental process, great employees that can help with your project. Great place to buy larger equipment as well. The best local hardware store. The staff are so helpful and very knowledgeable. Buy or rent it when it comes to equipment. Great gardening supply and decor! Awesome place! bigger than i thought it was when driving by. Rented a Dingo mini-skid steer and they helped me load it up. Inexpensive rental prices and just what i needed! We love Kimp's!! They have the best staff and all are so helpful and friendly!! 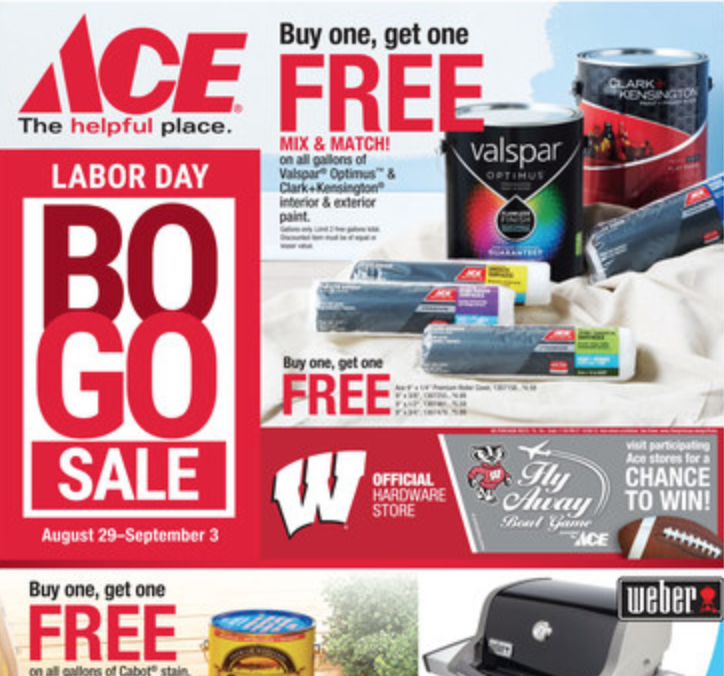 We've bought our Green Egg, lawn mower, snow blower, patio furniture and much much more from ACE!! We always go to ACE first!! Best crew ever! Everyone is so nice and helpful. They are our first stop when we need help on a home project. The best shop in town. Staff actually care about the customers. Amazing service! Would highly recommend. Love this place. Such helpful knowledgeable staff. Way better than any big chain store. They know what you need. Kimps shopper for life! Great selection of hardware. Knowledgeable and helpful staff. The store is very clean and has an excellent decor. Very helpful and friendly. This place is amazing if you are looking to rent some kind of power equipment! I was in today renting an item and I must say that the young men working in the rental area were extremely polite, something greatly appreciated. Beautiful garden center and they had a lake weed cutter we looked all over for! Great store . Gal clerk was very helpful too.